These essays have been specifically selected to further students’ and practitioners’ understanding of responsibility and regulation of law professionals. The essays integrate authoritative legal commentary with a broad range of material, including economics, history, philosophy, psychology, and sociology. 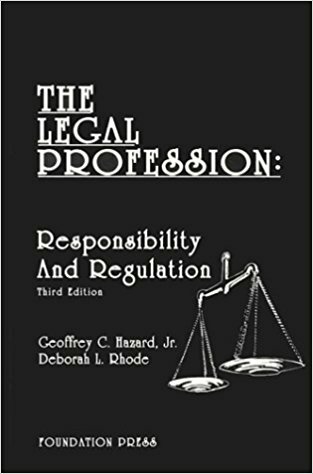 In the book, you’ll find historical and sociologic perspectives on professional regulation, professional roles, delivery of legal services, and maintaining professional standards. The text serves as an excellent facilitator for thought-provoking classroom discussions. You’ll also reap the benefits of the authors’ expert opinions, insight, and experience.